The twittersphere was a buzz last night over reports of a massive fireball over the UK. The AMS has received 19 reports so far and we encourage eye witnesses of this event to make an official fireball report. Witness fireball sightings are very important to meteor science and from this information we are able to plot a trajectory and origin point (in space) for the fireball. The more reports we get the more accurate the trajectory is. 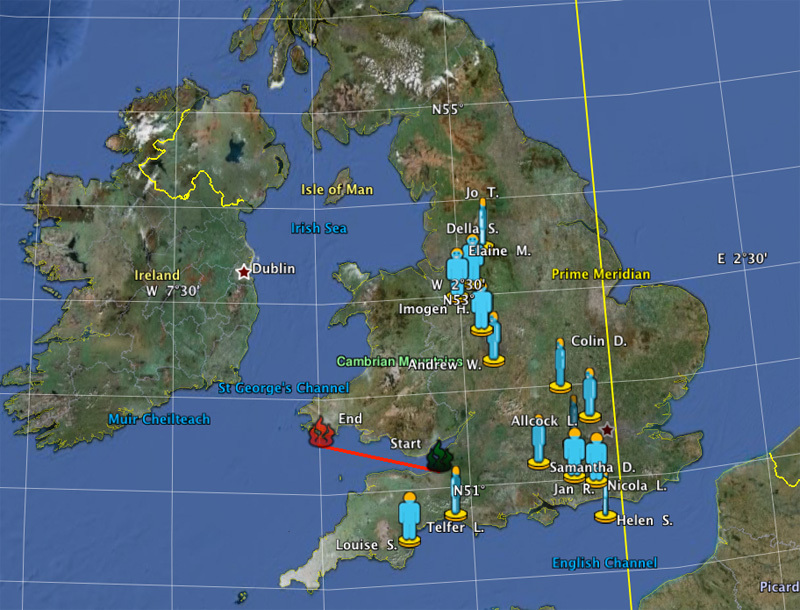 Below is a map of the sightings received so far and a rough trajectory based on these reports. As more reports are received the accuracy of this estimate will improve. Click Here to fill out an official fireball report. Using your witness report we can build and improve the trajectory for this meteor and determine the radiant from where it came.